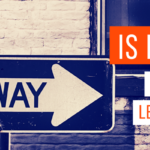 With all of the recent talk of change in the payday lending industry and new proposed rules, it can seem confusing. So, we’re breaking it down for you. We’re sharing the current laws and regulations of the industry, the new rules recently proposed by the Consumer Financial Protection Bureau (CFPB), and what this means for the future. 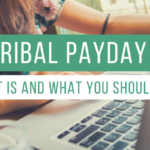 Currently the only requirements for a payday loan are an open, active bank account, a source of income, and identification. Payday lenders do not conduct credit checks nor do they do any work to determine whether or not a borrower can afford to repay the loan. Due to the Military Lending Act (2006), there is a 36% APR cap on all loans made to military service members and their families. In 2006, the Department of Defense (DOD), reported that an estimated 17% of military personnel use payday loans and “predatory lending undermines military readiness, harms the morale of troops and their families, and adds to the cost of fielding an all volunteer fighting force”. So, according to this report by The Center for Responsible Lending, the Military Lending Act (2006), capped annual interest rates at 36%, including all fees and charges. It also prohibits the lender from securing the loan with a personal check, debit authorization, wage allotment, or vehicle title, and required written and oral disclosure of all interest rates and payment obligations prior to the loan being issued. 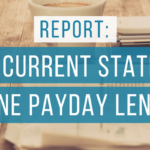 In June of this year, the CFPB announced a proposed rule that would end payday loan debt traps. The proposed rule would offer relief to borrowers and hold payday lenders accountable. There are several significant changes that the rule proposes. 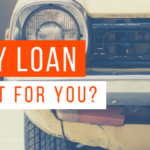 First, it would require that before approving a loan, a lender “must reasonably determine that the consumer has the ability to repay the loan.” Second, it would cut off repeated debit attempts that rack up fees and make it harder for consumers to get out of debt. Lastly, the new rules would also reduce the number of times someone could roll over their loans. coming months, if the CFPB’s rules are enforced, the payday lending industry may experience change like never before.